This wouldn't be the first time a brand trying to drive engagement with a harmless promotion got trolled by someone with nothing better to do with their time. On Thursday night, the New England Patriots were caught off-guard when attempting a social media campaign celebrating the team's Twitter account amassing 1 million followers. 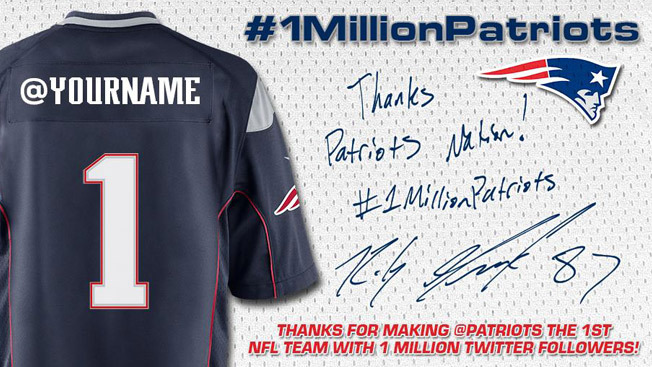 Users were encouraged to retweet a message that the Patriots were the first NFL team to reach the follower benchmark, and were "rewarded" with an automated message featuring a jersey adorned with their Twitter handle. Unfortunately, one person thought this was the perfect time to take advantage of the automated promotion. While it's unclear what kind of "filtering system" was in place, it's another lesson to brand managers and marketing departments—and a stark reminder of racism in the modern era.